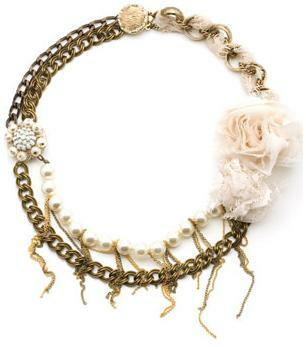 AllyCog: How gorgeous are these necklaces? 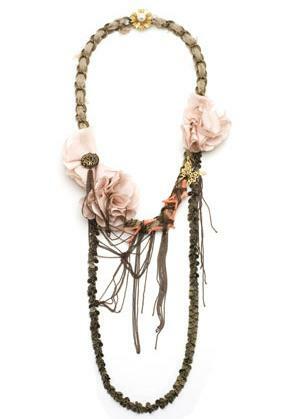 To say that I'm in love with these necklaces by Marquis & Camus would be an understatement. The vintage-inspired designs flawlessly combine old world romance and elegance with a modern toughness and edge. I love that they're perfect for a ball gown or v-neck tee and pair of skinny jeans. Necklaces from the Victorian Romance collection. And the detail couldn't be more exquisite. The way the chains, ribbons, and pearls are so intricately, but effortlessly, twisted and intertwined show the love and care that goes into hand-making each piece. A simple glance is enough to know this jewelry is special and will make you feel just as special when you're wearing it. Picking a favorite? That's the hard part.